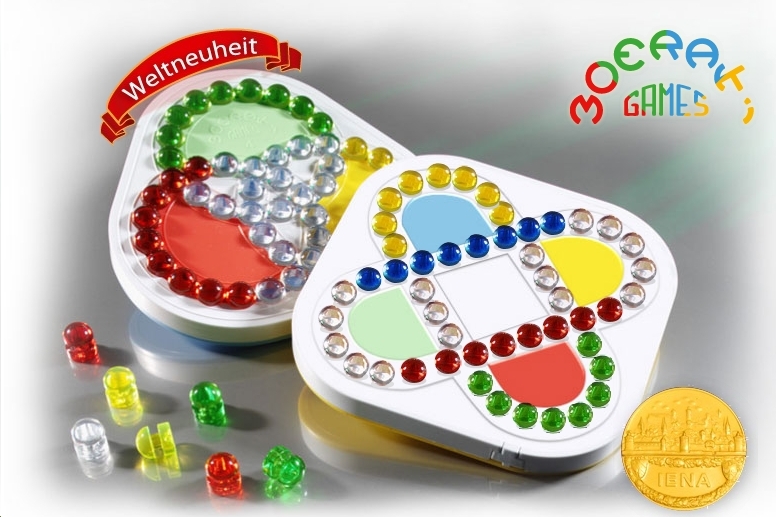 Casland Games has produced two terrific sequential movement bead puzzles. 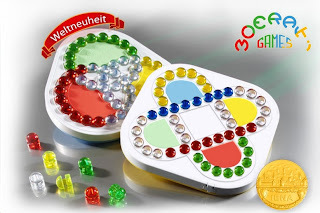 Many years ago I got the Hungarian Rings, which I believe was the first bead sliding puzzle. Fun. Rubik's Rings was identical but incorporated a twist so that the rings, instead of being flat, were almost perpendicular. Essentially the same puzzle. One of my favorites of this genre is The Orb. Great mechanism. I just got Casland Games' 3 intersecting rings. It consists of 3 colors and some clear beads that must settle in the middle. First of all, the puzzle is big. The beads are big. They slide perfectly. I have the version of 3 intersecting rings. I've solved it several times. I'll write more about this next Friday.